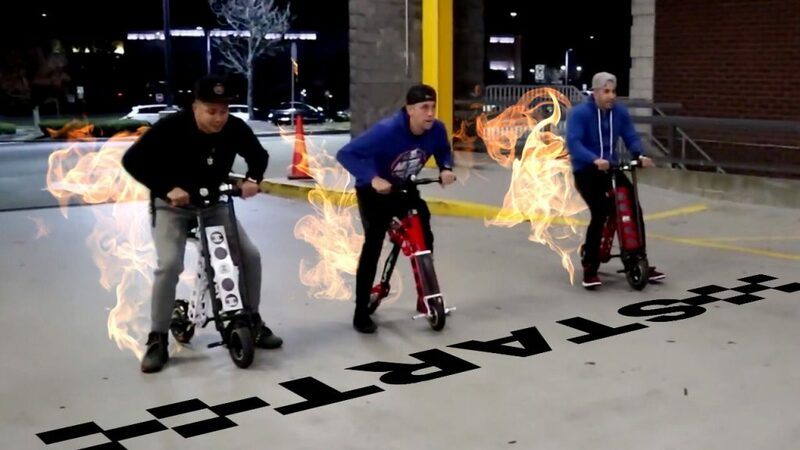 Wondering what were the electric scooters Fousey and Roman Atwood used to race in their new YouTube videos? They are URB-Es! Fousey and Roman Atwood are famous YouTube vloggers that got the chance to race each other in our URB-Es! We won't spoil it for you. Check out their videos to see who won!